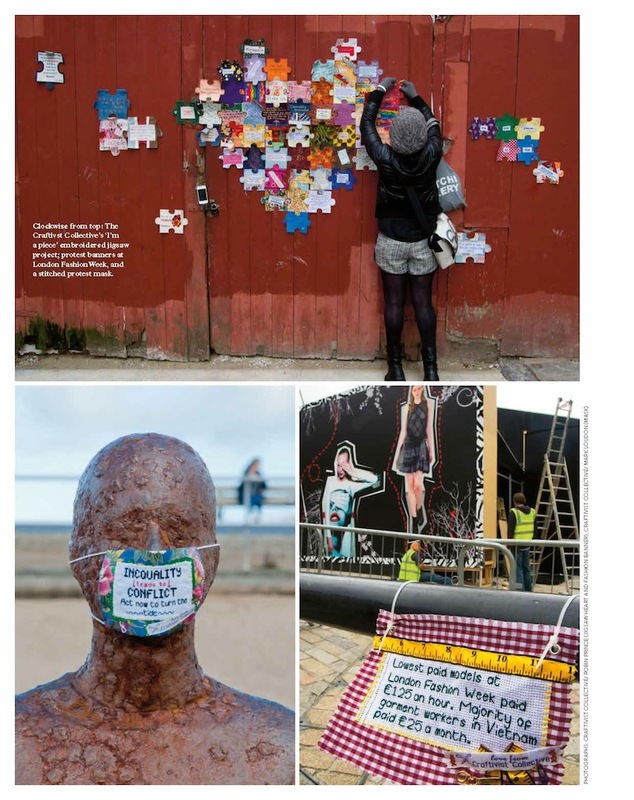 Did you spot Craftivist Collective in Mollie Makes magazine Issue 45? 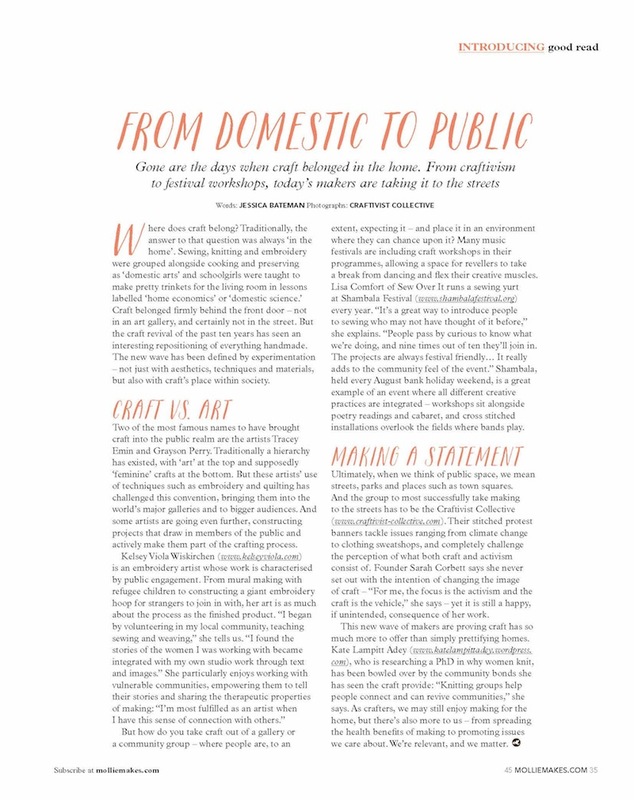 Home / Worth writing about… / All / Did you spot us in Mollie Makes (Issue 45)? Did you spot us in Mollie Makes (Issue 45)? Did you spot our Founder Sarah Corbett in Issue 45 of Mollie Makes? The issue came on sale 22nd September. We love Mollie Makes & Mollie Makes readers. MM have been so so supportive of our work over the last few years and have featured our projects and images numerous times. 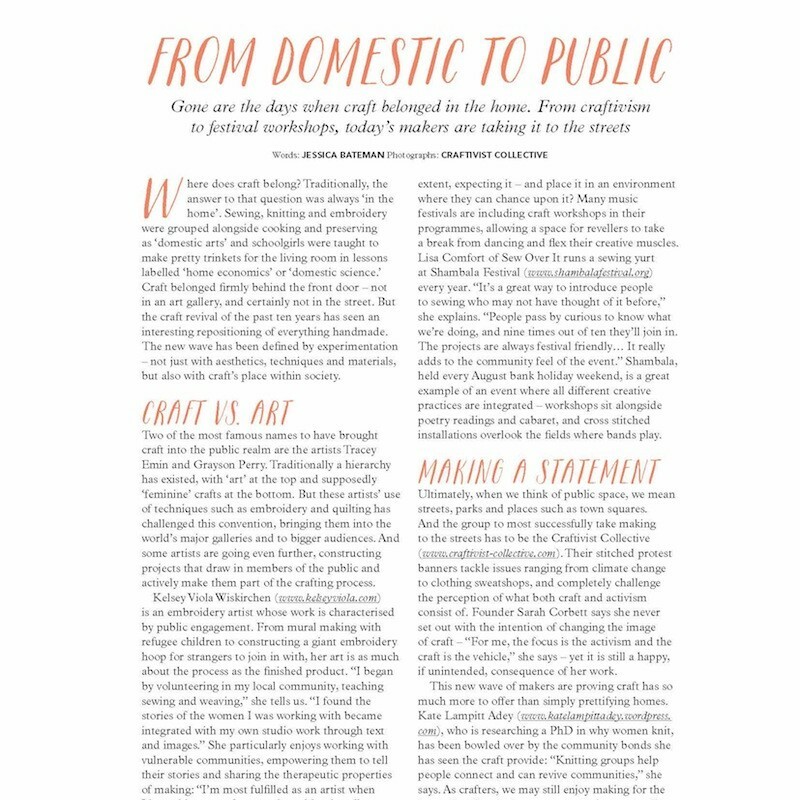 Editor Lara has attended our events too and we feel very much part of the MM community so we feel very honoured to be in issue 45. What do you think of the interesting feature? Cover of issue 45 or Mollie Makes which has a feature we are covered in. Article our Founder Sarah Corbett was interviewed for. Read what she says. Do you agree? 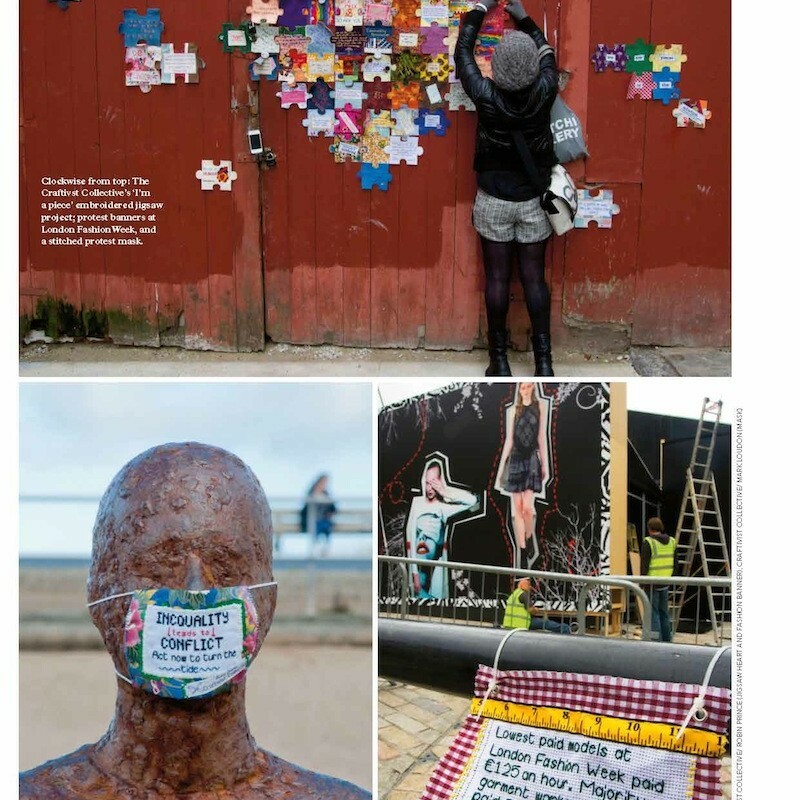 All images for this article in Mollie Makes are ours- we are honoured that they chose them. What do you think? 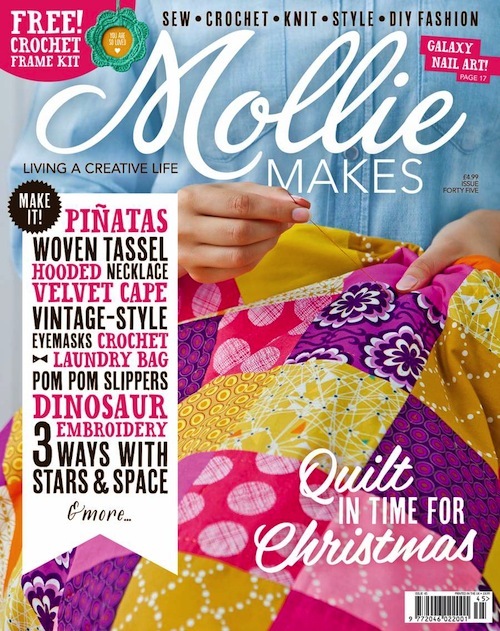 Mollie Makes is a lifestyle magazine for those who live creatively. They bring you the latest crafting trends in easy-to-follow how-tos, encouraging you to adapt and share your own crafty spin on things. MM celebrate creative industries and give up-and-coming designers their first platform, discuss hot topics in the design world with lots of insider tips, and aim to inspire readers to live your best, artful life. Creative endeavors are more than a day job for the Mollie Makes team. From choosing gorgeous indie cushions and prints for their interiors pages to learning how to take beautiful photos for their website and Instagram feeds; customising clothes to making gifts for friends, they’re crafting along with you. MM love trying new things and being inspired by what crafters are creating, wearing and blogging about too.